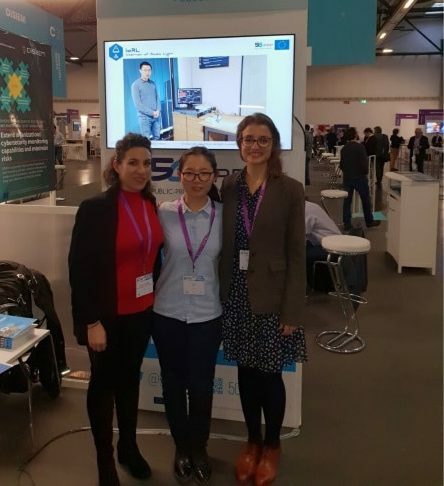 Sara Cuerva, Project Manager of Ferrovial Agroman’s R&D Department, was at two of the stands at the event representing two projects funded by the European Commission in which Ferrovial Agroman is participating: Transforming Transport and Internet of Radio Light. 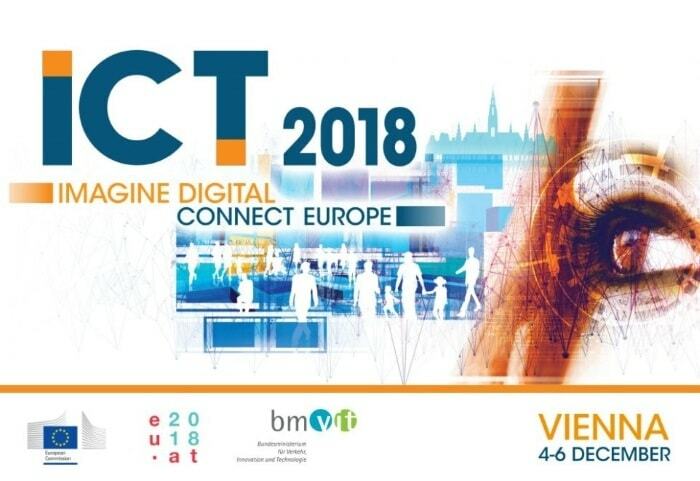 ICT 2018 took place in Vienna from December 4 to 6, 2018, organized by the European Commission and the Austrian Presidency of the Council of the European Union. This research and innovation event focused on the digital transformation of industry and society was a great opportunity for people involved in this transformation to share their experience and vision of Europe in the digital age. 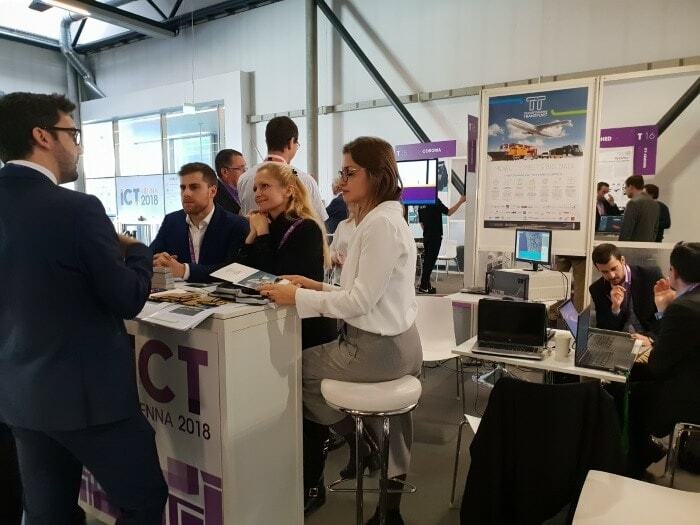 Ferrovial Agroman, represented by Sara Cuerva, Project Manager of Ferrovial Agroman’s R&D Department, was at this edition in the Austrian capital, presenting two projects: Transforming Transport and Internet of Radio Light, along with other members of both projects. The stand for the Transforming Transport project was in the area with the motto, “Transforming Industry & Economy.” This project is attempting to use Big Data analytics to predict the actions that must be taken in the mobility and logistics sectors with the aim of optimizing its processes and reducing CO2 emissions. At the stand, Ferrovial Agroman explained how, with these predictions for the necessary actions for maintaining the superstructure of High Speed lines, maintenance tasks could be optimized. 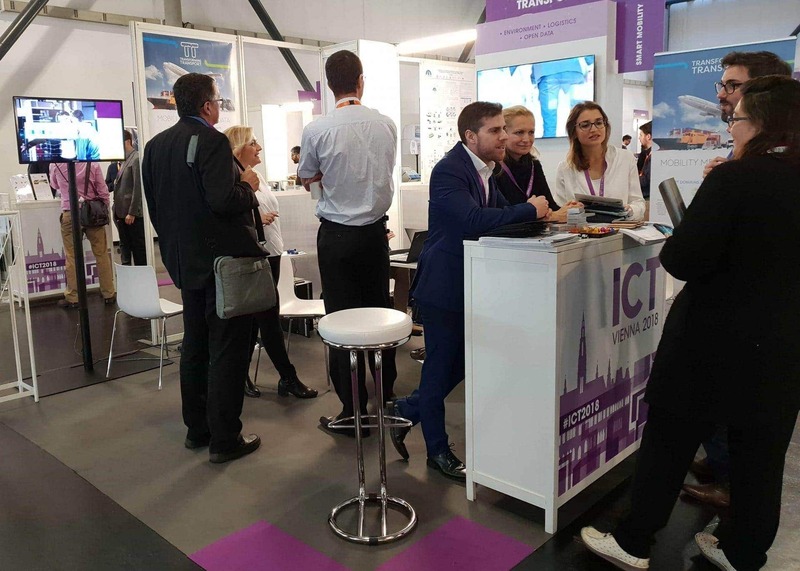 The project has a budget of 18.7 million euros, the participation of 48 businesses from 9 countries, and 13 pilot projects in 7 different fields: roads, railway infrastructure, airports, urban mobility, vehicle connectivity, ports, and e-commerce logistics. The stand for the IoRL, or Internet of Radio Light, project was in the “Creating Networks & Technology” area. This project’s objective is designing and validating a new light communications system that combines the modules of Visible Light Communication (VLC) and mmWave. Ferrovial Agroman is committed to implementing this pioneering product in the future in order to improve communications in production zones, specifically in tunnels and underground sites where wireless network signals can be problematic. Throughout the project, the technology will be tested in 4 different scenario, and Ferrovial Agroman will spearhead the scenario that will test the technology in the field of tunnels and train stations. IoRL has a budget of 7.7 million euros and a consortium composed of 20 companies. Don’t hesitate to contact the R&D Department if you would like to know more about these projects.